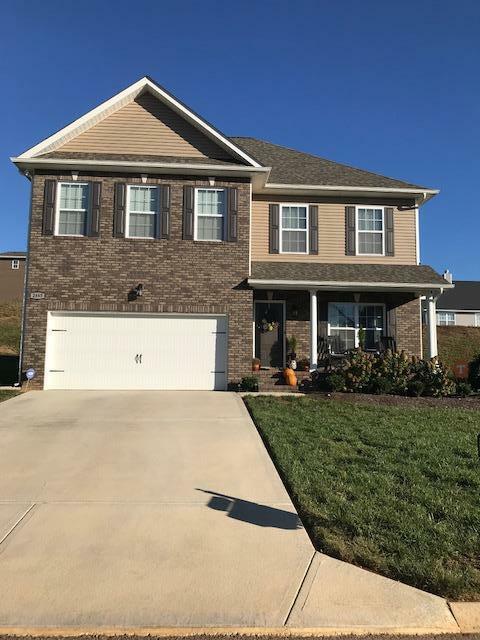 Spacious two story home with two car garage in Boyd's Creek area. Large living room with hardwood floors and beautiful gas fireplace. Formal dining area off of living room. Large kitchen with breakfast area, stainless steel appliances, and french door that leads out to patio. Also half bath and laundry room on main.Home also features tank less water heater. Upstairs three bedrooms two baths. One of them being the large master bedroom with master bath and walk in closet. In addition, there is a bonus room that could be a forth bedroom. A must see! Things that do not stay: Refrigerator, curtains in kitchen and formal dining area, projector and movie screen.